WHAT ARE CONSTANT VELOCITY JOINTS, AND WHAT ARE THEY USED FOR? Constant Velocity Joints, or CV Joints as they are commonly called, allow a drive shaft to transmit power through a changing angle, without binding. They are mainly used in front wheel drive vehicles and many rear wheel drive cars with independent suspension. Your CV Joints should be inspected frequently for leaking grease to prevent failure. CV Joints will wear out, that's a fact, and when that happens if the joint breaks, it can leave you stranded. plus you have the possibility of ripping off a brake line or other components under your car. When a joint breaks it can also cause structural damage under the car, and you could even loose control of the vehicle. Common indications of damaged CV Joints can be a loud clicking noise when turning left or right or a vibration during acceleration. If you have any questions concerning CV Joints call or come by KOOL KAR AUTO REPAIR in Azle TEXAS. Mike, I don't know if the rear CV Joints on the rear are less likely to break...I really don't think so. However, the reason we see less problems with rear CV joint cars is that there are less of those cars on the road. Thanks for your comment. This sounds super serious. The last thing anyone would want is to lose control of the car during driving. If you do find that the CV joint needs to be replaced, how much does that cost? The way you describe it, it sound like a simple fix. 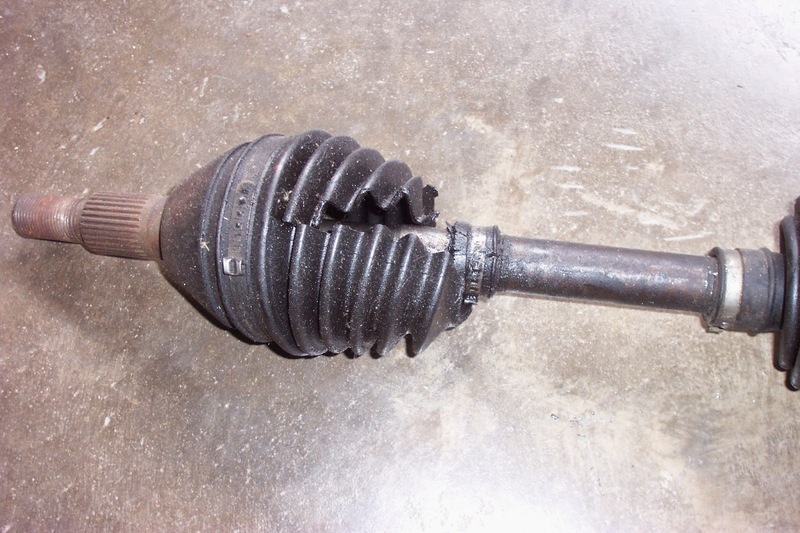 Bryan, typically with most applications, it's more cost effective to replace the entire axle assembly rather than to replace just the CV joint. With a new axle you get a new inboard and outboard CV joint which can run anywhere from seventy-five dollars up to a hundred fifty dollars again depending upon the application. For installation most shops will charge from one to one and a half hours labor to do the job. Hope this helps and thanks for your question.